"It comes with a mystery attached." 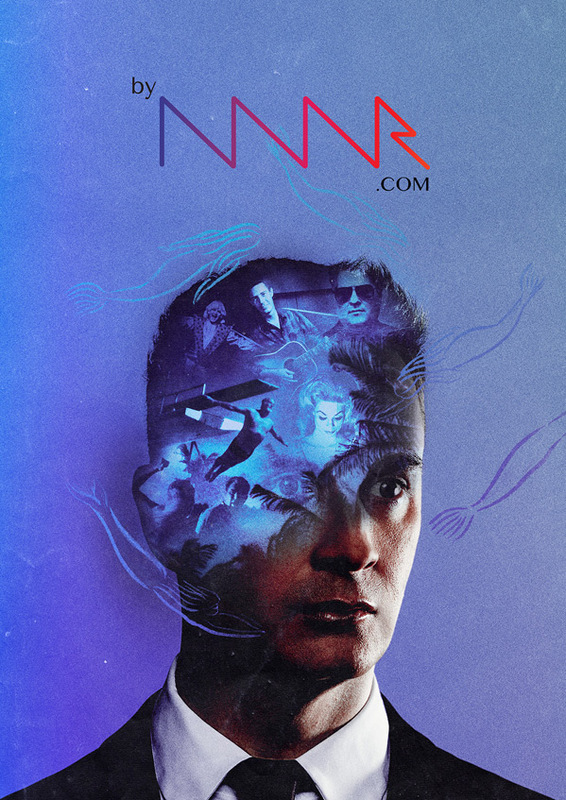 Infamous Danish filmmaker Nicolas Winding Refn has launched a brand new cinema website, open to the public today, called byNWR.com. The new website is essentially a specialized streaming service, available entirely for free, where Refn handpicks and highlights "meticulously restored" films. This has been his own personal hobby already that he has decided to let the public in on. And he insists there's no catch, or gimmick, or anything else, he just wants to offer up these films and enrich the world of cinema (and the internet) with these rare, long-lost gems. There is a new release every quarter, divided into three monthly chapters. For the first volume, Refn invited acclaimed biographer and journalist Jimmy McDonough to be the initial guest editor for "Regional Renegades" - all three films available now. The very first volume to be released on byNWR.com, titled "Regional Renegades", includes three "regional" films hand-picked by Refn and guest editor Jimmy McDonough: The Nest of the Cuckoo Birds (directed by Bert Williams, first released in 1965); Hot Thrills and Warm Chills (directed by Dale Berry, first released in 1967); and Shanty Tramp (directed by Jose Pietro, first released in 1967). They are currently only available to watch in the UK and US, along with a few other select regions, with more locations coming soon. "Missing Links", byNWR’s second volume, will arrive in September and is guest-edited by Refn favorite Little White Lies, the UK film magazine. ByNWR will reveal guest editors for upcoming volumes in the near future and will be expanding into other markets, with the French edition to be unveiled in 2019. And of course, it will all be for free - all you need to do is sign up and join in on the fun. So, how does that sound? Worth a shot? There are a number of specialty cinephile streaming services running, with FilmStruck and Mubi leading the way. These are compliments to all the other streaming services, between Netflix and Hulu and everything else. However, there's much more curation to the specialty ones. And byNWR.com is all about rare, restored discoveries including more content than just the film itself. It's all in hopes of using the internet to bring our attention back to art. Here's what he is really getting at with this site: "People will always go to the cinema. But the cinema industry is financed by certain films whose sole purpose is to maximise profit as fast as possible. There's nothing wrong with that. But what has changed history most in the last 20 years? A video camera and a telephone. One of the key things of the digital revolution is that sharing is a new definition of culture. People need to express themselves. The more you do that, the better a person you become." Damn. So - check out the website, check out the content, and sign up if you want. Go watch something really rare.